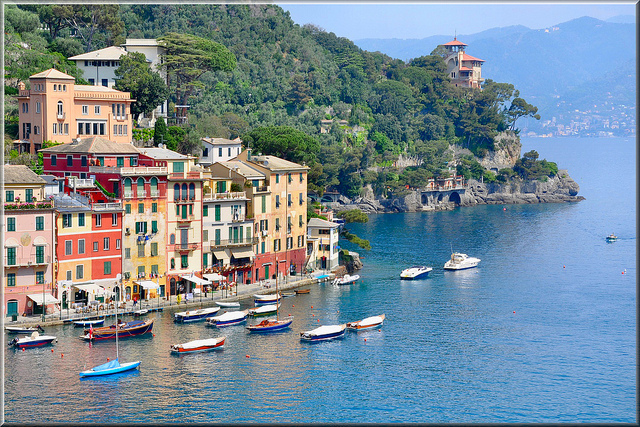 Portofino is one of the most famous seaside villages in Italy. 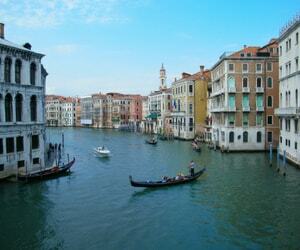 It is located along the Italian Riviera in Liguria, not far from France. 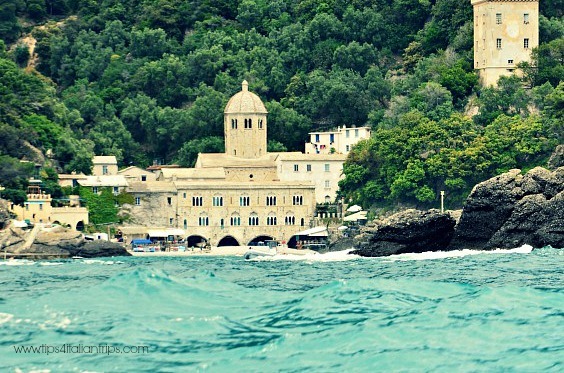 Not to be confused with Positano, which has a similar name but is on the Amalfi Coast, near Naples (in Southern Italy). Both places are stunning and worthwhile a visit though! 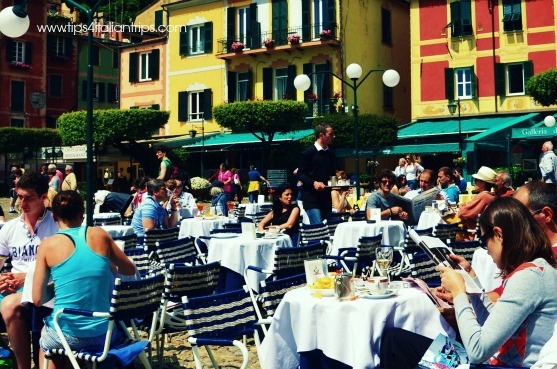 Portofino is very glamorous: if you stroll around its cafes along the harbour, you could easily meet the international jet-set and lots of famous people. 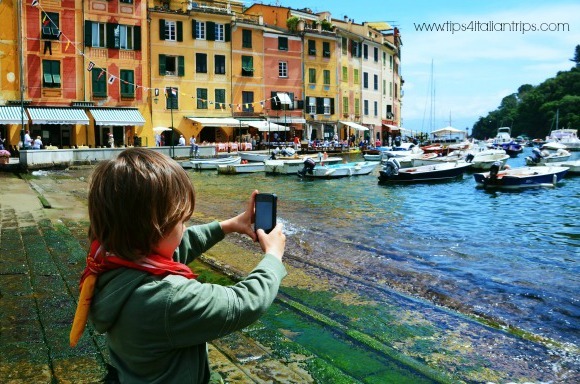 However, beyond the elegant villas and the big yachts in the harbour, Portofino remains a tiny fishing village, extremely picturesque and colourful and with lots of hidden treasures that are just waiting to be found out. 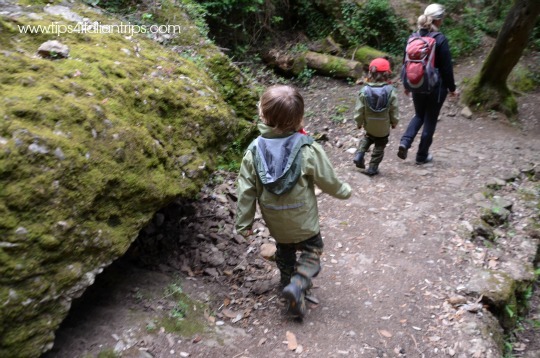 It sill is one of the most expensive and exclusive places in Italy, but there are lots of ways to visit it on a budget and with a kids-friendly approach. 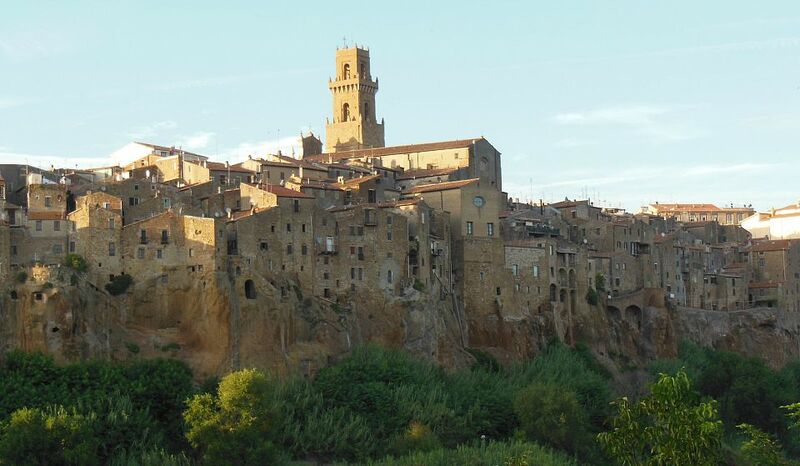 Once you have chosen your base, do organise one-day trips to the beautiful villages along the Riviera. 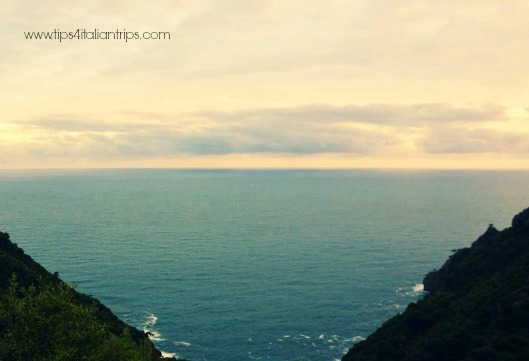 Portofino, Camogli, the Cinque Terre – just to name a few. If you are coming in July, do not miss the Andersen Festival, a great event for families which takes place in Sestri Levante. Our tip: whenever you can, use public transport instead of your car (buses, trains or ferries), as parking can be extremely difficult and expensive, not to mention the traffic during high season. Seaside and beaches are a must, of course. But please, be aware that they can be very crowded from June to September. Besides, most of the beaches along the Riviera are narrow and rocky. So do not expect long and sandy spaces for your kids to run and enjoy. On the other hand, rocks are what make these beaches so breathtaking and dramatic! The sea is absolutely amazing though, making swimming extremely enjoyable. Moreover, the coast is ideal for snorkelling activities. A good and uncommon way to have a sea feel is to explore the bay by kayak. The kids will go mad for the adventure! And there is no need to be expert or particularly fit. 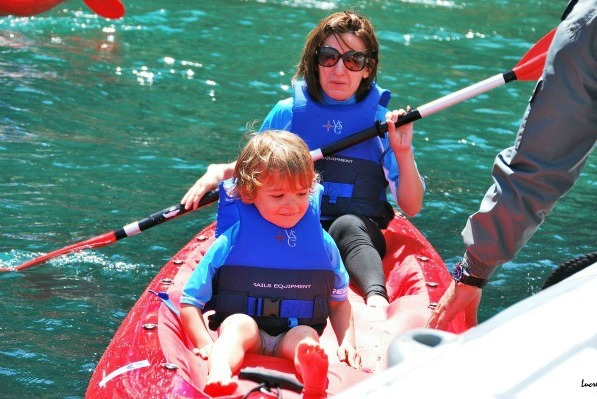 We had a great time with Outdoor Portofino, a sports club that promotes water sports and various educational activities related to the Protected Marine Area of Portofino. They are based at Niasca, a narrow beach between Santa Margherita Ligure and Portofino. Another trip not to be missed is a visit to the stunning San Fruttuso Abbey. 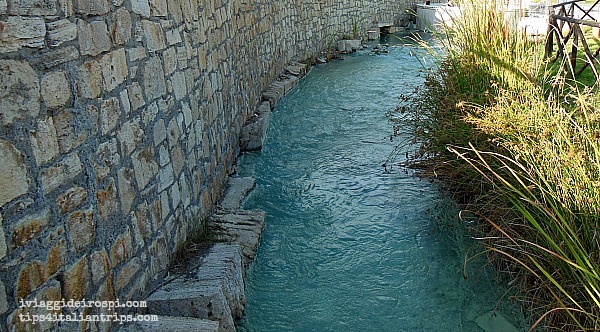 This unique place can only be reached on foot, through a couple of trekking paths, or by boat. There is a regular boat service departing from Portofino, Santa Margherita Ligure, Camogli, Rapallo, Sestri Levante, Chiavari and Genova. The monastic complex, which overlooks the bay, dates back to the 10th century and has a magical atmosphere. Take your time to visit each single room and to enjoy the breathtaking view from the terrace. You can have lunch at the characteristic restaurant on the beach or take your own food and have a picnic on the shore. Finally, for those who love nature and trekking, Portofino offers beautiful paths into the wildness of its National Park, also know as Monte Portofino. Starting point is the square of San Rocco di Camogli Church. To get there, you will have to reach Ruta di Camogli and, from here, follow San Rocco directions. Be aware that only residents cars are allowed to access the village, therefore you will have to park in the big square located in front of the horizontal bar that blocks access to anyone who is not equipped to pass. From here, you will reach the church in about 15 minutes on foot. Look for the narrow paved road and follow direction “Batterie”. 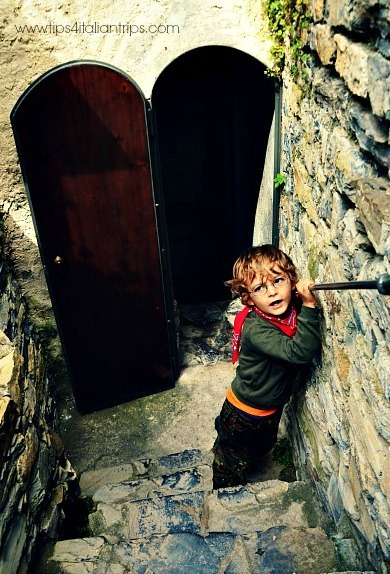 The trail reaches an altitude of about 300 meters, but it is an easy walk, accessible to children as well. switches in the woods among oaks, olive and pine trees and allows you to admire enchanting views of the sea. The trail will end at the “batterie”, which are bunkers built by the Germans during the Second World War. These are very well preserved fortifications, worth a visit. 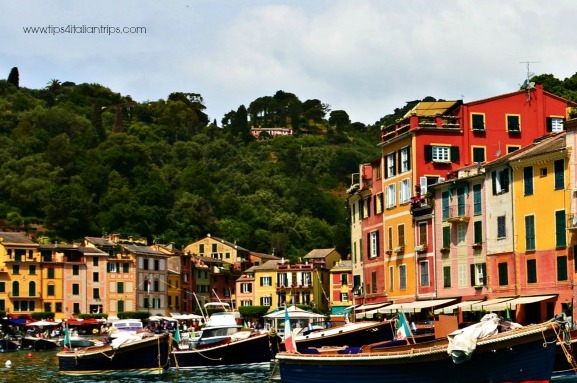 If you want to explore the Riviera, I would recommend not to stay in Portofino. 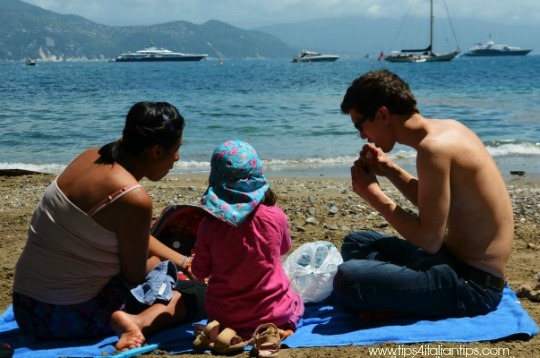 As I said, it is one of the most expensive locations in Italy; furthermore, there is little space for kids to move around and no real beach to have fun or sunbathe. Santa Margherita Ligure, which is only 10 km away, is a good choice and a fantastic base to explore the Riviera. 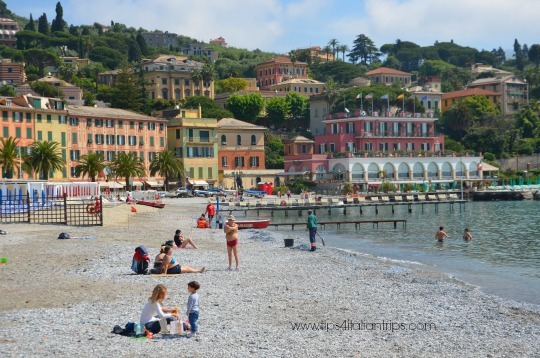 As lively as Portofino, with nice beaches and a beautiful harbour, it is less expensive and is comfortably connected to Portofino by an efficient bus service (although, in high season, buses can be quite crowded). A low cost accommodation option is Istituto San Colombo, a very clean hostel with simple but spacious family rooms, all en-suite. Rooms can accommodate 4,6 and even 8 people. No breakfast or other food is served inside, but the hostel has a kitchen and large dininig room that families can use if they want to cook their own food. Besides, due to its central location, there are lots of nice cafes, bars and restaurants in the area, and the seaside is within walking distance too. 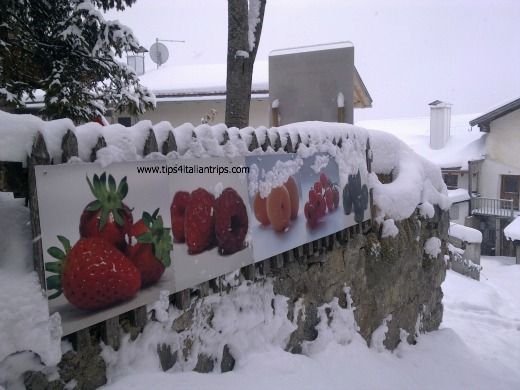 Another option is the wonderful B&B Il Tulipano: here our review.